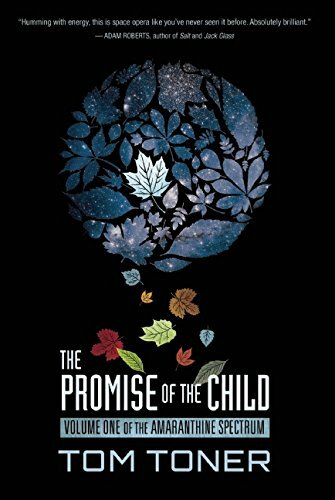 This is the posthuman premise of The Promise of the Child: an extraordinary space opera which charts the inexorable fall of an assortment of autocratic immortals in a milieu so elaborately imagined that immersion in it is as risky as it is rewarding. Taken together with its dizzying depth and intelligence, the debut of Tom Toner, a twenty-something science-fiction savant with a sweet spot for shark teeth, has an ungodly amount going for it. If Hannu Rajaniemi had come up with The Culture, it would have read rather like this, I think. But like The Quantum Thief before it, The Promise of the Child has an approachability problem: absent the warmth and wit that made Iain M. Banks' books beloved, it can come across as cold, calculated and at points impenetrable. A hundred variously aimless pages later, when an interfering official comes to the Tenth to conduct a census of sorts and is accepted in the same sense as our melancholic main character was recently rejected, Lycaste's unrequited affection for Pentas drives him to commit a crime almost unheard of in all the Provinces. In the aftermath of this terrible to-do, Lycaste is forced to flee, leaving his lush lands and lamentable life behind. Little does he know that he has a date with destiny. Little, likewise, do we. Lycaste's is not the only perspective in The Promise of the Child, but it is by far the most prevalent, particularly in the beginning. One imagines it's meant to represent a way in to the unimaginable vastness of this innovatively advanced intergalactic society, and given how different everything in the Firmament is, how fabulously unfamiliar it feels even to a serial science fiction reader, such signposting is necessary, no question. Unfortunately, the larger part of Lycaste's narrative seems so far removed from the rest of Toner's text that it is of little practical value in that regard. 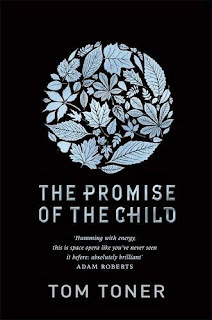 And though the secondary perspectives The Promise of the Child proffers—including, among a number of others, the mortal mind behind the machine's and that of an Amaranthine loyal to the present emperor—have markedly more bearing on the overarching narrative than Lycaste's chapters, their affairs are related to readers so rarely that these scenes feel fleeting. Thus, this novel has its problems: characters whose roles in the whole are muddied by the many moving pieces Toner sets in motion; a narrative so very involved that it's often difficult to discern; and a setting so incredibly complex that getting your head around it actually hurts. To call The Promise of the Child one of the most accomplished debuts of 2015 so far is to understate its weight—instead, let me moot that is among the most significant works of science fiction released in recent years. Granted, you've got to give it your all, but give it that and you'll get all that and more besides back.